Tulalip Resort Casino Archives - Write for Wine: It's Wine O'Clock Somewhere!Write for Wine: It's Wine O'Clock Somewhere! Happy New Year! We wish you a joyous, healthy and wonderful 2019. And if one of your resolutions is to pamper yourself in the new year, we have just the spot for you! T Spa is a beautiful sanctuary at Tulalip Resort Casino. The minute you walk in, you can feel yourself start to relax. And you have a number of options to continue that calming journey, including massage packages, spa rituals, skin therapies, hair styling, fitness, tanning, makeup, teeth whitening and mani-pedis. Get ready for a taste sensation at Tulalip Resort Casino, where you have eight amazing restaurants and eateries offering scrumptious food and beverages. We recently spent 24 hours at this premier destination in Washington state that is an easy drive from any location between Vancouver and Seattle. And we experienced a food, wine and cocktail extravaganza at six of those restaurants. There is something for everybody, whether you visit the mouth-watering Journeys East, the cool The Draft Sports Bar, the spectacular Blackfish, the delicious Tula Bene or the comfy Cedars Cafe, like we did, or try the more casual Canoes Carvery, Eagles Buffet or Blazing Paddles. This post and Part 2 showcase each of our six incredible drinking and dining experiences. 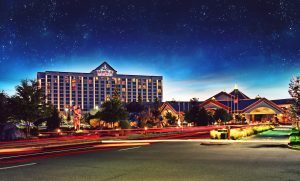 Tulalip Resort Casino is one of the most premier destinations in Washington state — a Las Vegas-style casino that is an easy drive from any location between Vancouver and Seattle. The gaming options are excellent, but this luxurious resort also features gorgeous hotel rooms; an array of excellent restaurants; a world-class spa called T Spa; a beautiful indoor swimming pool; and numerous entertainment venues. And did we mention the fantastic Washington state wine and cocktails?